Speak Out! Toasmasters publishes a quarterly newsletter filled with club news, as well as public speaking and leadership tips and advice. You can download PDF copies of past issues here. Toastmasters: More than Meets the Eye, Youth Leadership Program, Pregnant Pauses, Icebreaker Experiences, and more. 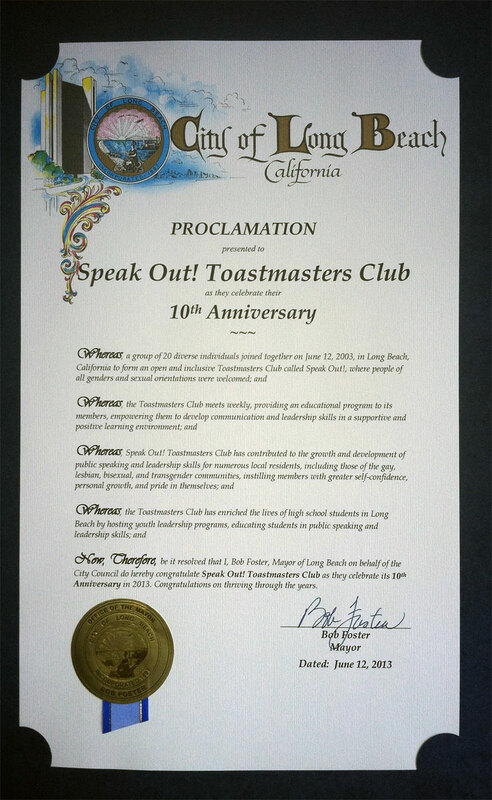 A Winning Speech Takes a Toastmasters Club, What Manuals? You Mean We’re Supposed to Read these?, Table Topics Experiences, plus photos from the annual picnic, Belmont Brewery lunch and more. After the First 10 Speeches, Benefits of Coming Out of the Club, When You Are the Timer, plus photos from holiday parties and more.